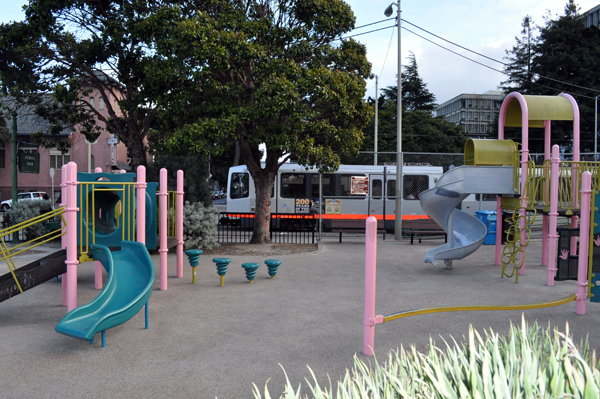 And then it passes within a few feet of a children’s playground in Duboce Park, albeit separated by a fence but with an adjacent pedestrian crossing with no gates…. 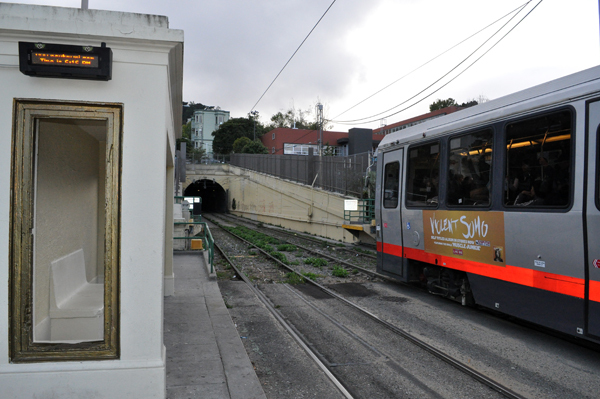 And then the train heads into the Sunset tunnel underneath million-dollar homes. Of course, this is the difference between building rail many decades ago and building it now. 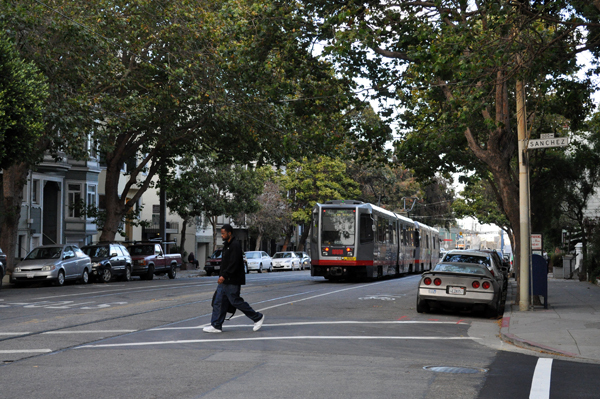 The Judah line was originally a streetcar line constructed in the early 20th century and later converted to a light rail line. So the city has literally had years to grow up around the train and grow accustomed to it being there.